Through our Custom Weighing Solutions Team, Garber Metrology delivers the latest, state-of-the-art process equipment along with turnkey installation and support. Our experienced professionals will listen and make recommendations focused on streamlining your operations, improving control, traceability, and accuracy, and ultimately maximizing your ROI and profits. 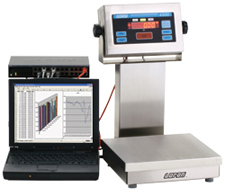 Call or e-mail us today for system analysis with one of our Custom Weighing Solutions Team professionals!